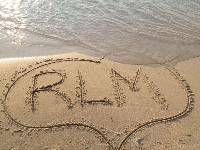 Lake Michigan honeymoon destinations can be enjoyed anytime of year. Not everyone gets married in the summer but... everyone deserves a romantic Lake Michigan honeymoon experience. 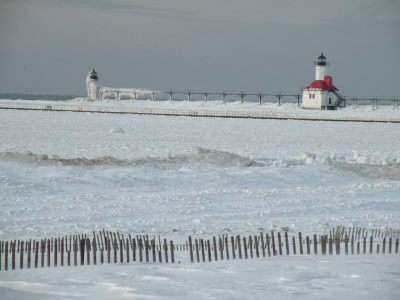 No matter the time of year Lake Michigan is one of the most visited areas in the country. Enjoy seasonal beauty that will take your breath away. All this incredible beauty makes for your perfect honeymoon experience. You'll find a summer honeymoon full of excitement and fun along Lake Michigan. You will find plenty of things to do together all the while making loving memories with your time. Everything is in full swing, most towns and villages are hosting fun festivals or summer related events. This is the time for the two of you to enjoy the beaches, explore the shops and galleries ... all the while learning more about each other. 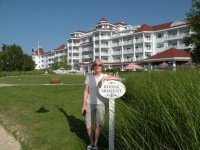 We want to show you spectacular northern Michigan honeymoon destinations as well as the top western michigan honeymoon destinations from south to north along the lake. Honeymoons in the fall offer you one of the greatest shows on earth. The trees stand proud showing off their spectacular colors. Drives through the countryside and stopping at roadside stands are great ways to enjoy fall days and locally grown treats. This is also the perfect time to visit local wineries and pick up a special bottle to take back to the room and enjoy together. The sun sets earlier but the sunsets are always romantic. There's a good chance of watching shooting stars and catching a colorful sky show put on by the northern lights. A winter honeymoon also offers you its own special magic. If you're staying close to, or on the lake, the sunsets are unbelievable as the light dances off the ice. The ice will build up along the shore and form beautiful natural sculptures. Be sure and bundle up as the wind is cold coming off the lake but the scenery and experience is worth it! Michigan winters are awesome! 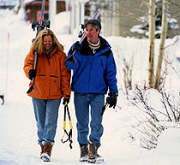 If you enjoy winter sports a honeymoon at one of the winter lodges is the perfect getaway. Offering downhill skiing, cross country skiing and snowboarding these charming getaways will also pamper you beyond your imagination . Or imagine you and your loved one all bundled up on a horse drawn sleigh ride. can you say ... romantic! 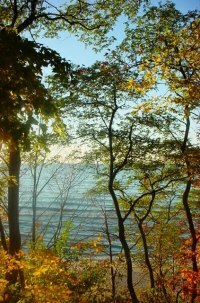 How about a Romantic Lake Michigan Island Honeymoon? Lake Michigan Islands are another honeymoon option you may want to consider. Here is a chance to get away from the regular Lake Michigan honeymoon hot spots and enjoy your special time in a very special place. Even the ferry ride is a memorable romantic experience. If you are looking to save money please visit our Places To Stay Page and go to the list of cities. Choose one of the cities for savings on the chain hotels and other accommodations. No matter the time of year, a honeymoon in Michigan is a special memory you will always cherish. From Lake Michigan Honeymoon back to Romantic Lake Michigan home.